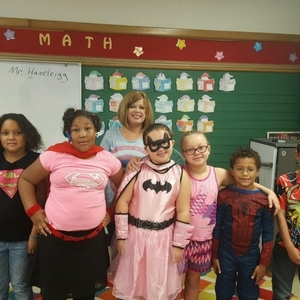 Super Heroes to the Rescue!! South Shores Super Heroes joined forces to collect food for the WSOY Community Food Drive. 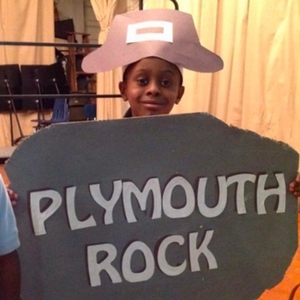 South Shores SuperStar Kindergartners shine on stage! South Shores first graders celebrate the 100th day of school! 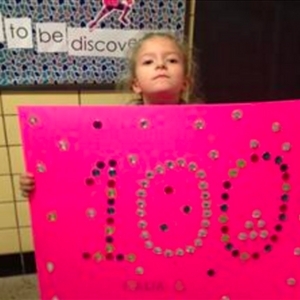 Students in Mr. Williams' first grade classroom celebrated the 100th day of school through learning about the number 100, creating "100 projects" with their families, and visiting other classrooms by hosting a "100 parade." 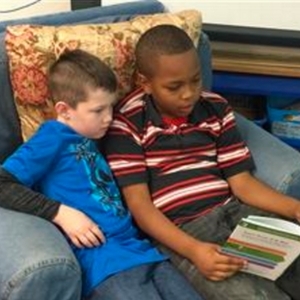 Students help one another strengthen literacy skills! 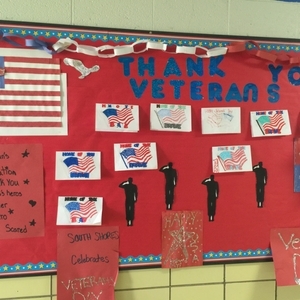 South Shores Celebrates Our SuperStar Veterans! It's the Season of Giving at South Shores Elementary! 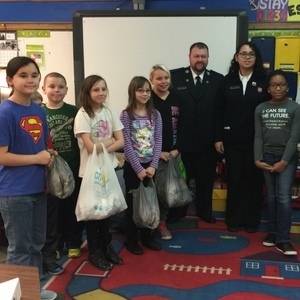 Students at South Shores impacted their community through giving to Toys for Tots and the Salvation Army. 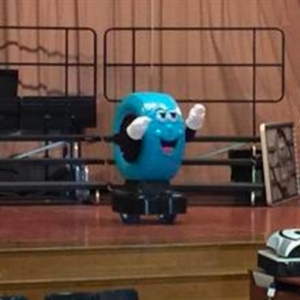 Toby Tire visited South Shores school to teach students about school bus safety. 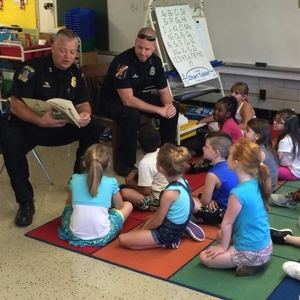 Welcome to South Shores Elementary! South Shores teachers and staff are committed to making this school year the best that it can be. Please do not hesitate to contact me if you have questions about your child. Our phone number is 217-362-3320, or you may click here to email me. Please check Decatur Public Schools' website for any early dismissal notices or school being called off due to weather.